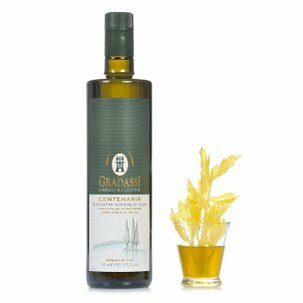 The Fiore d'Autunno Extra Virgin Olive Oil by Gradassi is a young unfiltered oil obtained by cold pressing olives that are not quite mature and harvested in the autumn. This method allows the oil to have a 'just-pressed' taste by conserving the precious pulp residues, giving a simply unique taste. 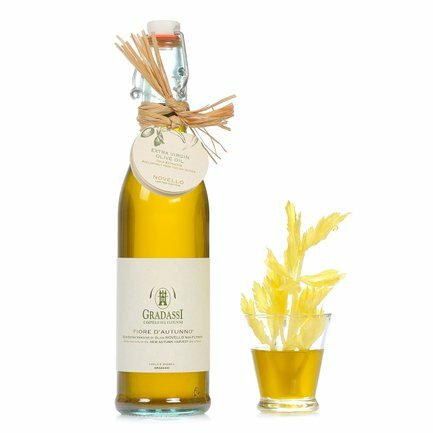 Characterised by a fresh and herbaceous flavour, this Fiore d'Autunno olive oil is rich in polyphenols and is therefore particularly suited to drizzling on foods.